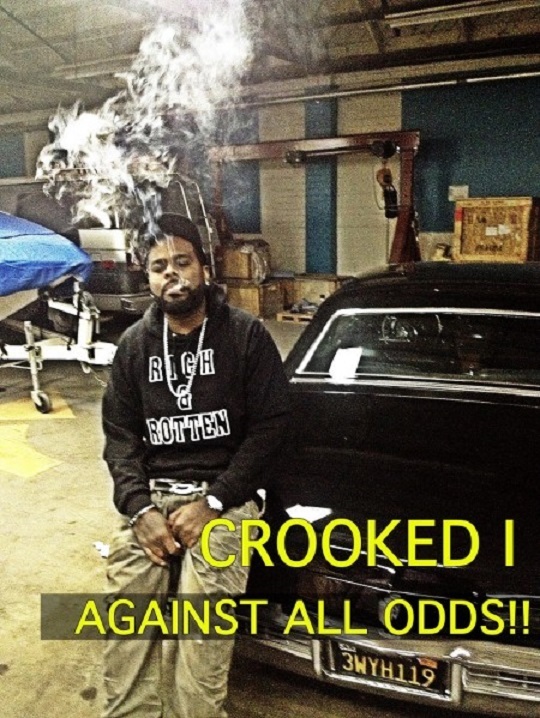 After reintroducing the world to his roster of COB artists with a new cypher following the 2013 BET Hip Hop Awards, Crooked keeps his momentum going and releases “Against All Odds.” The Long Beach native effortlessly showcases his lyrical wordplay over the smooth Snaz produced instrumental as he voices his dislike for ruthless industry politics, fads and the lack of authenticity in popular Hip Hop artists today. Take a listen as the Slaughterhouse rapper refuses to bite his tongue and reassures listeners he’ll always stay committed to his cause despite the odds. This entry was posted in Audio and tagged against all odds, crooked i, hip hop, Long Beach, rap, slaughterhouse. Bookmark the permalink.